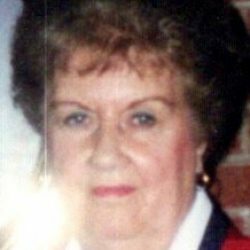 CHURCH HILL – Thelma Calton, 87, passed away on Friday, November 30, 2018 at Holston Valley Medical Center. Thelma was a lifelong resident of Hawkins County and retired from Woolworth’s. 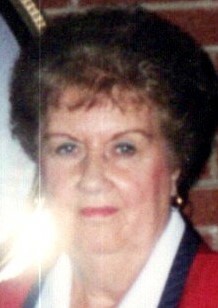 She was of the Baptist faith and was a member of Elim Baptist Church. She was preceded in death by her husband, Garnie Lee Calton; parents, Cleveland and Rosa Robinson Mitchell; brothers, George, Clarence, Henry, and Charles Mitchell; sisters, Mary Barrett, Kate Holt, and Carrie Mitchell. Thelma is survived by her sisters, Grace Johnson, Hazel Barton, and Maude Christian; several nieces, nephews, extended family members, and many friends. Visitation will be held from 11:00 – 1:00 PM on Saturday, December 8, 2018 at the Johnson-Arrowood Funeral Home. Funeral service will be conducted at 1:00 PM in the funeral home chapel with Rev. Fred White officiating. The burial will follow in Church Hill Memory Gardens. Pallbearers will be Donnie Mitchell, Darrell Holt, Curtis Barton, Chad Barton, Junior Christian, and Bob Bledsoe. Honorary pallbearers will be Randall Mitchell, Elmer Cross, Coy Kindle, Jim Rowlett, and Larry Manis. Johnson-Arrowood Funeral Home is honored to serve the Calton family.